JWB-Im not offended. I don't need to study anything on dogs though. I was suggested some very good info earlier on pigeons that I took a look at. I decided to keep all the info I digest cow related for now. From what I gather you are saying that line breeding is something you don't like,but breeding like type is what you prefer? I'm pretty sure that you can breed cows of any breed together that look alike and still be out-crossing, and am pretty sure you can do the same thing within the boundaries of a breed. The purpose for line breeding is not only type oriented for me. It goes a little deeper than that. While I do want to set a particular type in what I do here, I also want to limit the gene pool so that folks who buy parent stock from me can out cross and have MORE Success in doing so. Also know this thread is not really about "to line breed or not" so much. Just about ways to use information and make decisions within the context of a line bred herd. I'm not sure how many generations it will take to measure success in a line bred herd as I am just beginning to make tighter mating's. I have been doing some line breeding farther back in my pedigrees. I will say that I feel the purpose of any out crossing, including successful ones, should be to make burger. Not the same with cattle bred tightly for the purpose of creating parent stock. Cotton, the Padgett book set the gold standard for the practical application of population genetics. Well JW, did you read it? How did it help you? What are some of the practices that you put into place because of it? The point is to learn from one another, I am actively seeking info, so I am willing to listen. I'm just not willing to read books about the subject of line breeding, or animal management that don't pertain to cattle at this time. There is just way too much out there that do pertain to cattle that I haven't read yet. An example would be a article I read recently about the Bates Shorthorns that was from way back, but still interesting and informative for me. I cant speak for everybody, but I do know that at least 5 contributors on the subject in this particular thread are actively involved with line breeding in their herds. Some have been involved with it longer than others and have more experience than others. As for me, I'm just starting out its true. But I have to change a lot of things on my farm to do it, not just the way I breed. I'm going to have to target different markets, advertise differently, and form a different mindset of in herd appraisal. If it takes a little bit, I'm sure that would be OK.The beauty of raising cattle is that we are going to eat our mistakes, and ultimately eat our successes.By this time next year though, I should have some calf's that are 25% IBC. Thats a start. As far as being all forage goes, that's probably not a bad idea. For me, I just bought a new feed bin yesterday if that tells you anything. I do think that folks who have cattle that perform on all forage with little to no additional inputs make more money than I do buying feed. Easy keeping cattle are something I am working towards,and I am trying to get the grass that works best for them here as well as find the right stocking rates so that I don't need to feed cows. They were after all designed to eat forage, and not grain. But that is a cattle management practice that doesn't require line breeding. Mongrels can live off of grass only if its available in enough quantity to sustain them, they were designed to do so. I ran some of the herd thru the chute today and started worming. Since we mentioned it earlier, Injector weighed 1950lbs. I will see what Vinny weighs when I do the herd he is in with, to see how he is growing. Cotton, have you seen Dubcharo's cattle? They look to be easy keepers.. Also, in Murray Grays I really like Backbone Ranch's cows. The gelbvieh ranch I might get my next bull from brags about 850 lb weaning weights with no grain, though they calve out now and wean in october, so that's considerably over 205 days, the gains are good nonetheless.. Most importantly to me is they're nice animals. Nesi- I don't know Dubcharos cattle,( don't recall seeing many) but I do agree on Backbone Ranch's cattle. I like those Murray Greys quite a bit! In fact that is one voice I wish we would hear from on this thread. 205 day weights are a tuff subject. Apples to apples, or apples to oranges sometimes. I do think if you are looking at a registered breeder you should consider if the animals you have picked out are line bred. If they are then maybe the 205 is not the best indicator of that bulls offspring expectancy. If they are not, then 800lb weaning weights at 300 days old pale in comparison to 650lb 205 weights. All that and then consider this: Do you want to make bigger and bigger finished cattle? I was hinting around at this earlier. I happen to think if we keep buying bulls because their growth potential is higher than our last calf's, we are going to make larger cattle in our next generation with that bull. We need to find out what weaning weights will make the size cow we want to produce I think. The main thing I think is that you like the cattle for one reason or another and think they will contribute to your herd. How would their bulls compare to a bull out of your Caddie family? I think if we continually select for weaning weight, yes, the mature animal weight will go up.. If we pay very close attention to that and then push the limits on weaning weight ratio and total weaning weight, to get a small cow that makes a big calf, we're going to set ourselves up for calving problems from young animals that are too small because they didn't grow after weaning. I have been following this thread for a while now, and I have found the discussion to be very interesting. In our herd, the inbreeding coefficient varies from 2% to 27%. Our best cows, that raise the nicest calves, can be found all throughout the spectrum. When I looked back 5 generations on each individual in our cow herd, most can be traced to at least one of these three individuals: OK Sadie, OK Honeysuckle, or JOPA Elation Power. In fact, our last three herd sires and our young up and coming bull are descended from both OK Sadie and JOPA Elation Power. As the years go by, we are finding that cattle from these lines are becoming more and more prevalent in our herd. We are not selecting for or against a particular bloodline, but individuals from these bloodlines are typically at the top end of the calf crop in terms of phenotype and have the best Igenity tenderness and marbling scores. We are still AIing about six head each year, but most of our AI sires were born in the 70s, 80s, or 90s. A few of our cows still go back to these bulls. For reference, below are photos of OK Sadie (9 years), JOPA Elation Power (3 years), and OK Honeysuckle. 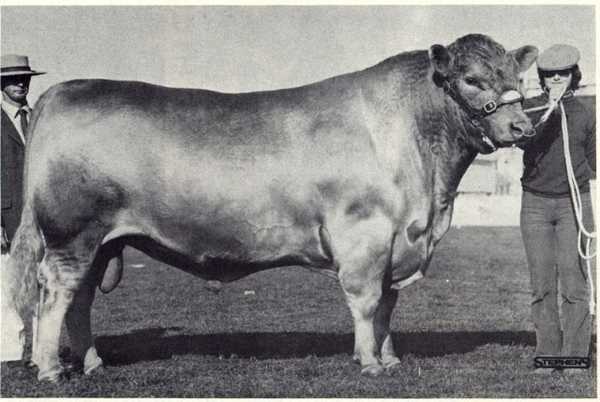 I went further back in the pedigrees to 12 generations and there were many more repeated ancestors, but one bull in particular caught my attention. 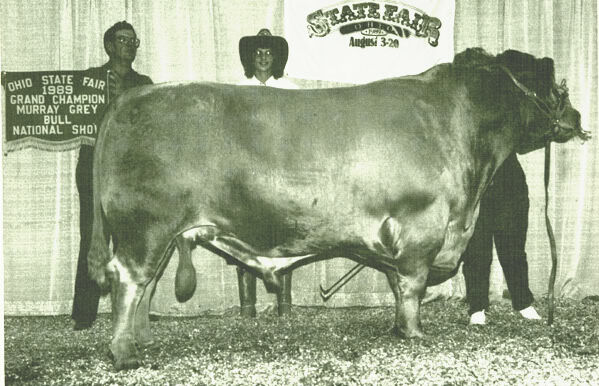 Balmoral Elation, a bull that was born in Australia and later imported to Texas, showed up many times 5 or more generations back in the pedigrees. Despite this, he was between 15% and 25% of the genetic makeup for almost every cow in our herd. Below is a photo of Balmoral Elation. We have had calves from these bloodlines that were the result of mother to son matings and breeding half siblings together. Many of the calves looked exceptional (some of the best that we have ever raised) and some were more average looking. We have retained the females with the exceptional phenotype and a few of the “average” ones. I heard at one point that these “average” looking females from a closely bred line will produce the best calves. We have not yet had enough calves to validate this statement though; only time will tell. If you want to develop a prepotent line of cattle and sell bulls that “stamp” their calves, I would think that you would have to have a strict linebreeding program with a handful of exceptional individuals to base your program on. I am not sure that breeding unrelated individuals of similar type will get you to that goal. Hello there Backbone Ranch! Thanks for the input and as always for sharing pictures of your beautiful cattle! I have lots of reading to do, and not much spare time as of late. I have a copy of The Basis of Linebreeding now, along with Man,Cattle,Veld that I am trying to ingest. I will be busy with that for a bit. In the meantime, Happy New Year!! I have just finished reading this thread and find it very interesting. I have had commercial cows for about 10 yrs and now have just purchased some registered so reading about all this is very interesting to me. I have been told that seed can be in the ground for years and never germinate and then all sudden it does and then brings out something that hasn't been seen in a long while. Is that kinda the same what you are trying to achieve with linebreeding bring out the best that might be from generations back and improve on that? What is the criteria for keeping or using a bull? One person I bought some reg cows from someone that said he read "Herd Bull Fertility" by James Drayson and said he measured the testicles length and width and the scrotal different ways is what I remember and he said the best bulls on those measurements when he went out to the pasture was some of his best looking bull prospects. Your goals on where you want to go with your Charolaise cattle is very interesting to me as we have used Charolaise bulls on our Black and Red Angus cattle and really like the calves other then for replacements the Charolaise cross cattle are to big. I had been told that Charolaise cattle were just that way. Them are some nice looking donor cows what is the frame score on them? Is inbreeding going to wreck a population? Or is the old saying correct; "There is nothing to fear but fear itself." Angus Rocks- Glad you are interested in the thread. And thanks for your kind words about my cattle. I hope to make better seed stock thru line breeding. I do look at it as exposing the weakness and the strength of the genetics I have. Hopefully selection within the herd will let the cream rise to the top and maybe make my herd more profitable. Mainly though I came to think the seed stock producers were not offering enough genetic value to the commercial sector by selling mongrelized bulls. So I am making a change over the last few years with my breeding. As far as Charolais size goes, they really are a larger breed. I'm hoping to settle in with frame 6 cows moving forward. The G123 Vannar cow and Injector are frame 6. The Faraway Mary 107 cow is probably closer to 7, and the Duchess K906 cow is a big girl, maybe frame 8. 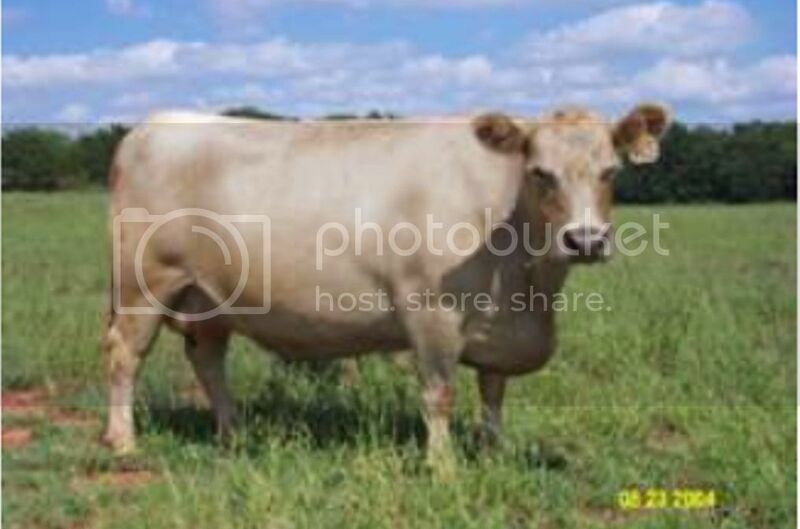 I used to want to make frame 5 Charolais but that probably won't happen. Some are out there, but frame 6 is about the smallest Charolais you can really expect to produce and still make good terminal bulls I think. I had a good conversation with a friend recently about maternal vs terminal within the breed and the breed vs the whole of American beef production. 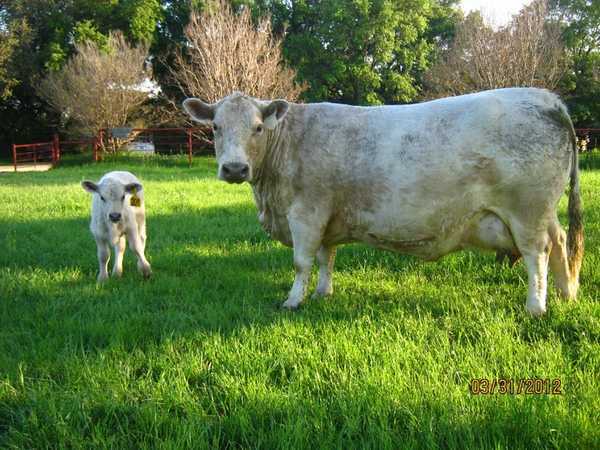 I believe I have maternal Charolais who's bull calfs become terminal bulls in the commercial sector. That's a whole different ball of string though. None the less, line breeding in my view is the best thing I can do for both myself and my customer in my opinion. I hope to learn as much as I can about it thru CT discussion here and thru some others shared experiences as well as in practice within my herd. Last year our average frame score on 40 yearlings charolais bulls was 5,8. We don't linebreed but we have 88 cows from 4 cows family on 125, so 70% of our cows are from 4 cows bought in the seventies or eighties. One have 43 descendents.